Academic Staff McGuinness, Paul B.
Paul B. McGuinness is a Tenured Professor in the Department of Finance at The Chinese University of Hong Kong (CUHK). 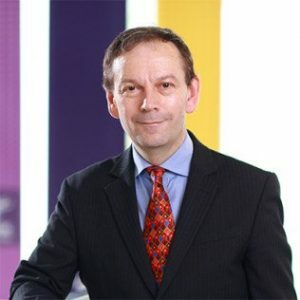 Prior to his appointment at CUHK, Prof. McGuinness was a faculty member of the School of Industrial and Business Studies at the University of Warwick in the United Kingdom. While on leave from CUHK, he has held positions as the National Bank Chair of Finance at the Victoria University of Wellington, New Zealand (January – December 1996), Head of Research at the Hong Kong securities regulator, the Securities and Futures Commission (July – December 2000), and Visiting Professor in the Department of Economics at Macquarie University in Sydney, Australia (February – June 2008). Prof. McGuinness’ research activities are in financial markets, securities analysis, corporate finance and Chinese equity markets. He has published widely including a book entitled ‘A Guide to the Equity Markets of Hong Kong’ (Oxford University Press, 1999), as well as numerous papers in internationally refereed journal outlets. In the period 2015 to present, he has published 11 papers in internationally refereed outlets, with eight of these in ABS 3 (***) and two in ABS 4 (****) rated journals (see http://charteredabs.org/academic-journal-guide-2015-view/ for ABS journal rankings). He has also published widely in professional and business-style journals. Prof. McGuinness has also conducted consultancy work pertaining to securities market-related issues in Hong Kong and the Mainland PRC. He has extensive teaching experience at executive, graduate and undergraduate levels in a number of locales, including the U.K., Hong Kong, Mainland China, New Zealand and Australia. His teaching contributions have resulted in him winning a CUHK BA Faculty Outstanding Teacher Award on three separate occasions, as well as a CUHK MBA programmes Merit Award on two occasions. He has also served as Chairman of CUHK’s Department of Finance for two separate four-year terms (08/00–07/04; and 08/05-07/09). Paul B. McGuinness (2018), “Beyond the board realm: Women in senior management and their impact on IPO capital funding,” British Journal of Management. Charlie X. Cai, Paul B. McGuinness, and Q. Zhang (2018), “Credit Scores and the performance of newly-listed stocks: An exploration of the Chinese A-share market,” Review of Quantitative Finance and Accounting, 51, 79-111. Paul B. McGuinness, J. P. Vieito, and M. Wang (2017), “The role of board gender and foreign ownership in the CSR performance of Chinese listed firms,” Journal of Corporate Finance, 42, 75-99. Paul B. McGuinness (2016), “IPO Firm Performance and Its Link with Board Officer Gender, Family-Ties and Other Demographics,” Journal of Business Ethics. Charlie X. Cai, Paul B. McGuinness, and Q. Zhang (2017), “Capital account reform and short-and long-run stock price leadership,” The European Journal of Finance, 23(10), 916-945. Paul B. McGuinness (2016), “Voluntary profit forecast disclosures, IPO pricing revisions and after-market earnings drift, ” International Review of Financial Analysis, 46, 70-83. Paul B. McGuinness (2016), “An empirical assessment of initial return volatility in newly-listed stocks,” Applied Economics Letters, 23(11), 804-811. Paul B. McGuinness (2016), “Post-IPO performance and its association with subscription cascades and issers’ strategic-political importance,” Review of Quantitative Finance and Accounting, 46, 291-333. Paul B. McGuinness, C. K. Lam, and J. P. Vieito (2015), “Gender and other major board characteristics in China: Explaining corporate dividend policy and governance,” Asia Pacific Journal of Management, 32, 989-1038. Paul B. McGuinness (2014), “IPO firm value and its connection with cornerstone and wider signalling effects,” Pacific-Basin Finance Journal, 27, 138-162. C. K. Lam, Paul B. McGuinness, and J. P. Vieito (2013), “CEO gender, executive compensation and firm performance in Chinese-listed enterprises,” Pacific-Basin Finance Journal, 21, 1136-1159. Paul B. McGuinness (2012), “The Role of ‘Cornerstone’ Investors and the Chinese State in the Relative under-pricing of State-and Privately-Controlled IPO Firms,” Applied Financial Economics, 22(18), 1529-1551. Paul B. McGuinness and R. D. F. Harris (2011), “Comparison of the ‘Turn-of-the-Month’ and Lunar New Year Return Effects in three Chinese Markets: Hong Kong, Shanghai and Shenzhen,” Applied Financial Economics, 21(13), 917-929. Charlie X. Cai, Paul B. McGuinness, and Q. Zhang (2011), “The pricing dynamics of cross-listed securities: The case of Chinese A- and H-shares,” Journal of Banking & Finance, 35(8), 2123-2136. Paul B. McGuinness and K. Keasey (2010), “The Listing of Chinese State-Owned Banks and their Path to Banking and Ownership Reform,” The China Quarterly, 201, 125-155.